Dr. Farrago received his Bachelor of Science from the University of Virginia in 1987, his Masters of Education degree from the University of Houston in 1990, and his Medical Degree from the University of Texas at Houston in 1994. His residency training occurred way up north at the Eastern Maine Medical Center in Bangor, Maine. In his final year, for some reason, he was elected Chief Resident by his peers. The faculty there regretted that decision for quite a long time. 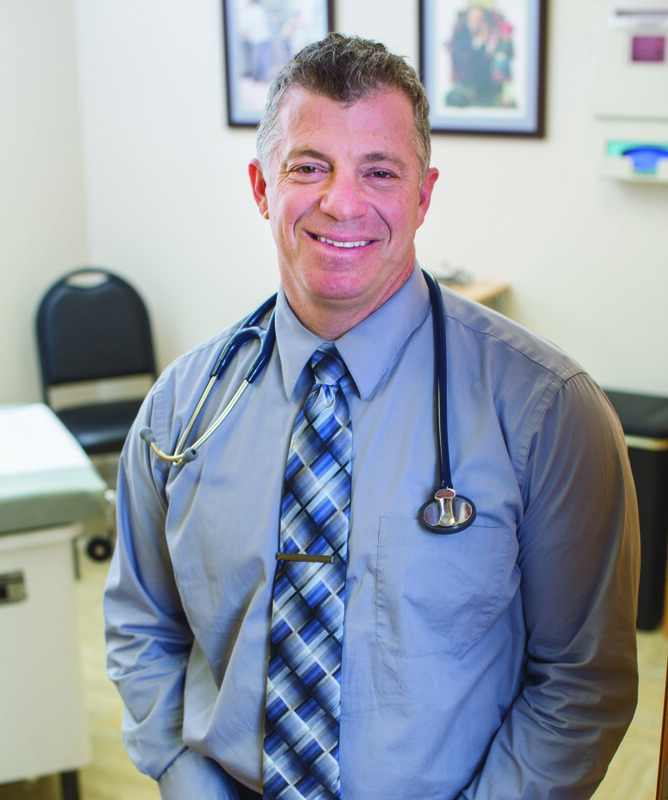 He practice family medicine in Maine for 17 years and now does the same in Forest, Virginia. Since October of 2014, Dr Farrago has been practicing family medicine at his own business called Forest Direct Primary Care where he takes no insurance but instead bills on a monthly membership model. Dr. Farrago was involved in sports medicine training of professional boxers in the late 1980s. Under the tutelage of fitness guru, Mackie Shilstone, he worked with countless fighters including five different world champions. His biggest highlight was being in a ring set inside a bull-fighting stadium whereupon Calvin Grove lost his title to Jorge Paez. He fondly remembers ducking the urine filled bottles of beer thrown at his head as they tried to exit the arena. Doug invented the Knee Saver, a padding that relieves knee stress in baseball catchers, while he was in medical school. He received the patent in 1991 and after years of persistence (and even more rejections), Dr. Farrago was able to make this product a staple of the game. The original Knee Saver is currently in the Baseball Hall of Fame. The Knee Saver, and its knock-offs, are still worn by many major league baseball catchers today. Dr. Farrago’s newest invention is the CryoHelmet made by All-Star Sports. The product involves the use of cooling the head to treat head injuries like concussions. It also helps in heat exhaustion and migraines. With hundreds of thousands of concussions occurring every year, Dr. Farrago feels that there has been a blind eye to newer treatment options for this critical issue. The CryoHelmet is a game changer that may truly help those who incurred any type of head injury. For more information see www.iceyourhead.com and www.cryohelmet.com. 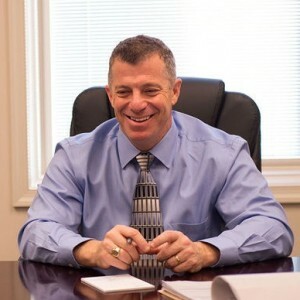 Douglas Farrago also created MedLecture.com, which was bought by a public company and subsequently became another casualty of the “dot gone” era. The company was designed to show video-streamed medical lectures through the Internet so that continuing medical education could be accomplished by a physician at his or her desktop. The company was poised to capitalize on the broadband revolution that was ready to explode (2000). Unfortunately, poor timing and even worse management caused the company to dissolve. Dr. Farrago never made a dime off his concept. His portfolio at one time was worth over $22 million with just six months left to cash out. It never happened. It has been rumored that Dr. Farrago cried for quite a while after that and has never been the same. Doug created the Placebo Journal in 2001 and ran it until 2011. Called “raunchy, adolescent, and very funny” by U.S. News.com, the purpose of this bi-monthly journal was to empower those in the healthcare field through the power of laughter. In 2005, the Placebo Journal caught the eye of Broadway Books. Dr. Doug compiled some of the Placebo Journal’s best true stories of medicine along with a healthy dose of fake drug ads and x-rays to create the Placebo Chronicles. Like the Placebo Journal, the Placebo Chronicles is available on www.amazon.com and invites those in the healthcare field and patients alike to share the laughter, the very best medicine for all. His latest book is called The Official Guide to Starting Your Own Direct Primary Care Practice and slated for publication in April of 2016. Check out the blog and commentaries for ideas about true change. The mission of this website is to rediscover how much the art of medicine means and allow us to reconnect to our roots once again. It is about fighting back against those things that are taking us away from the direct care of patients while still pointing out the lunacy and hypocrisy of this job. Be part of the movement that will take back the healthcare system from the idiots who are ruining it. Dr. Farrago has been married for 26 years, has three children and two dogs. He now lives in Forest, Va. After six knee surgeries, he has been very limited in his ability to play sports anymore. His hobbies include playing basketball poorly, playing computer games and popping Viagra (not necessarily in that order). Okay, the last part is a joke.